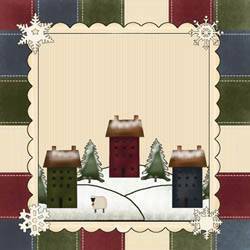 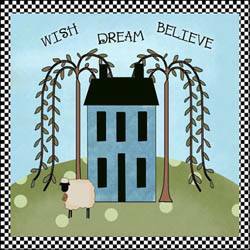 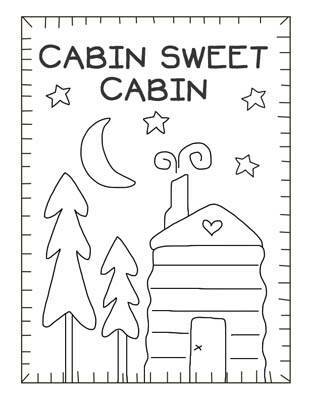 Create this primitive nighttime cabin as a wall hanging or use as a stitchery pattern. 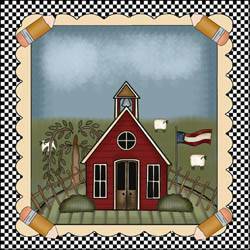 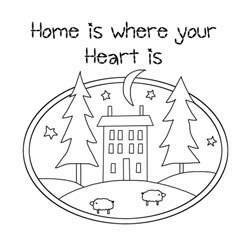 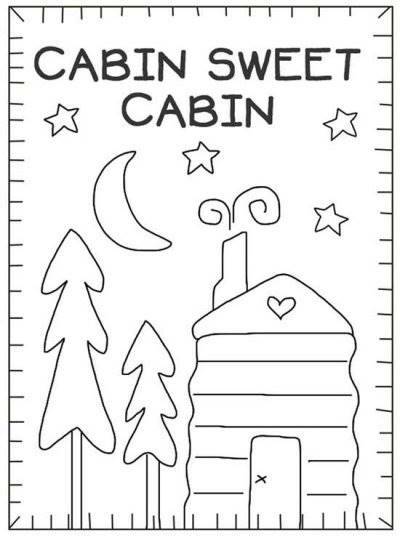 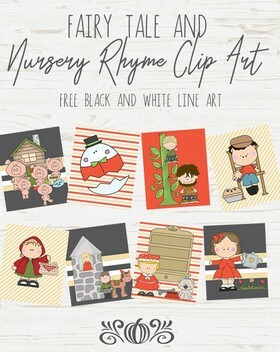 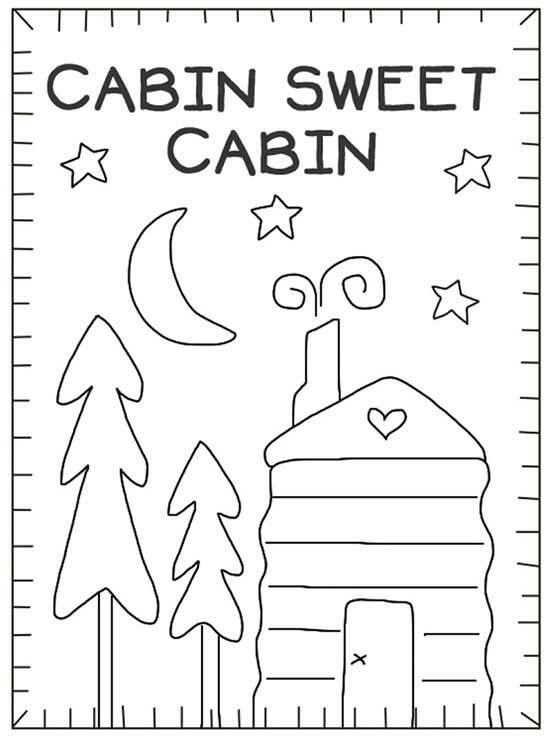 Use embroidery floss to stitch the words “Cabin Sweet Cabin”. 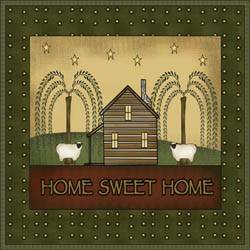 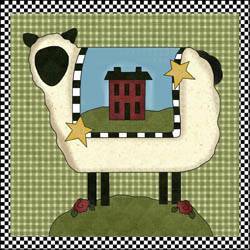 This is one of several prim patterns that also can be used as quilt blocks.